Imagine that your body is agile and healthy, your mind is calm and balanced, and that you feel energetic and happy. Only a few Yin yoga sequences can have that impact on your life. Yin yoga is a tranquil and restful yoga. It has been described as unbearably nice or nicely unbearable, but above all it is easy—it suits all body types and personalities. Everyone can do Yin yoga, at any time, in any place. You do not need special equipment, and do not even have to change clothes. My wish with this app is to get you in better shape. In it, I have collected 30 of my most popular Yin yoga classes. You’ll find short sequences that you can perform any time of day, to longer classes that will revitalise your whole system. I have also included a longer guided Still Rest and a Mindfulness Meditation. I will guide you into and through the positions as if you were practicing in one of my classes. The positions are also described in te​xt and the beautiful photos from my book Serenity Yin yoga. I will time you to three and five minutes and support you as you stay in the positions. The best yoga is that which is done, and with this app, it has never been easier to start and sustain a revitalising Yin yoga practice at home. My hope, and expectation, is that Yin yoga will renew your energy and vitality, and make you flexible and calm. Lie down in the simple positions, relax, and just be. If you do Yin yoga once a day, that’s fantastic. If you do it once a week, that’s fantastic, too. If you only ever do it once, that’s also fantastic! 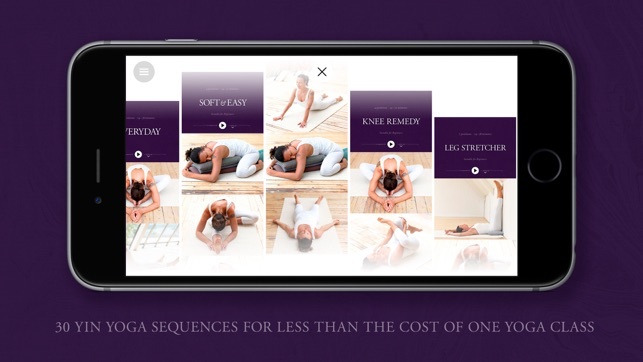 • The app contains all 30 Yin yoga positions, read by the author and described in beautiful photos and clear text. 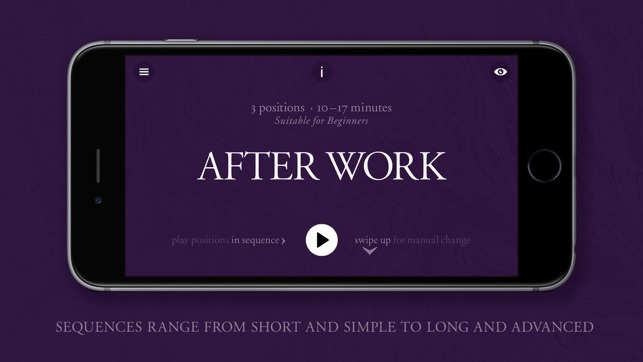 • The app contains 30 Yin yoga sequences, tailored to specific situations and problems, as well as all-round sequences. In total, many hours of Yin yoga for less than the price of one yoga class! 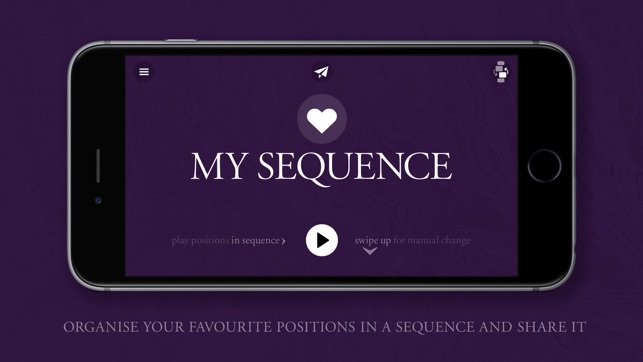 • The app has a feature to compose your own sequence with your favourite Yin yoga positions, and share it with friends. • The app is fully downloaded to your device and no internet connection is necessary to use it after installation. • The app is optimised for all devices (all iPhones and iPads), and can be installed on all of your devices with one purchase. 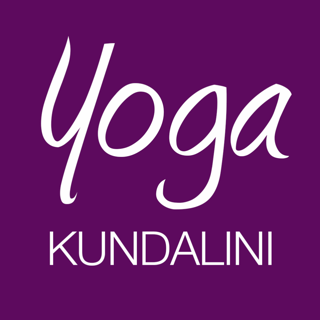 Magdalena Mecweld is an experienced and much-loved yoga instructor. Her best-selling book and app were first published in 2013 in Sweden to great acclaim, garnering a devoted following. The English translation of the book and app are Magdalena’s first publications in English. I recently discovered a Yin Yoga class and wanted to be able to do sequences on my own when I couldn’t get to classes. I think this was one of the only ones out there and took a chance on it. I’m so happy I got it. The prompts are relaxing and easy to follow, the images look great, and the sequences are varied and categorized in useful ways. I do wish there were sequences I could do for shoulder tightness as well, but perhaps an update would have those added. All in all, this a great app and I highly recommend it with some Bluetooth earbuds. The app is fantastic, creating your own sequence is brilliant and the instructor has a wonderfully calming voice. Plus, I can now say Yin Yoga is perfect for me. As a lifelong cyclist who never stretched, most yoga classes are too fast, not deep in the pose, plus by the time I sort of figured out the posture the class is onto the next few. I’m terrible at the choreography. Not so with Yin. I can go deep and deeper yet into each move and literally fell the facia melt into bliss. The instructor also adds a light layer of mindfulness to her guidance which tops off the journey perfectly. I did the every day routine last night and it's exactly what I need. The only thing I wish this had is a category of poses that hit the upper body better- my neck and shoulders etc need some serious yin like stretching and I can't find poses that focus on them specifically. I'd LOVE to see that added!